The air is crisp, tombstones become appropriate garden ornaments and the leaves begin to change to the orange, gold and red shades of autumn. It’s October! Some of the most beautiful natural landscapes are enhanced by this transformative season and we want to take you there. From the kaleidoscope of colours around Niagara Falls to the deep-dish Chicago-style pizza on Lake Michigan. Here are our suggestions of where to travel in October. This multicultural hub is constantly moving and shaking in the fall, international university students are back at school in the city, filling the bars and roaming the city. 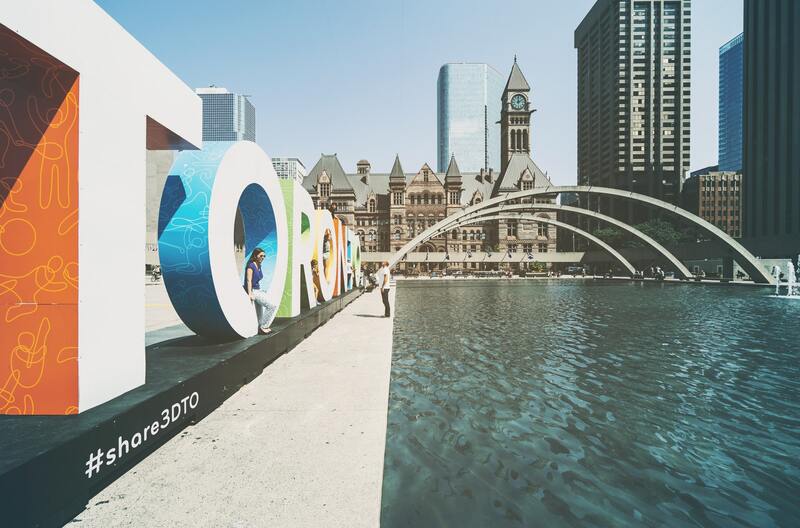 The Toronto International Film Festival runs again from 6-16 September, plus, as Halloween approaches, Canada’s Wonderland (a theme park) hosts the Halloween Haunt where you can brave spooky houses and mazes with your friends for fourteen terror-filled nights! Of course, there are the typical highlights like seeing the city from 553 metres high (1,815.3 feet) at the top of the CN Tower, walking along the lake’s shore and taking a beer tour. Be sure to bare ‘Trawna’ traffic like a local and make the two-hour road trip for sweeping views of Niagara Falls too (which I highly recommend during this spectacular season). If you have ever been told you take Halloween ‘too seriously’ or just love to celebrate the spooky season in all its glory, Salem is the place to be. For those that don’t know the city’s history, its famous for witch trials that resulted in twenty executions during the seventeenth century. The town’s tragic and mysterious past sets the stage for the annual month long series of haunted happenings, which include séances, ghouls, ghost stories, creepy-crawlers, witchcraft tours and a grand parade. Along with the details of a dark and sinister past (for adults) at the Salem Witch Museum, Salem is also ideal for the kids with its ‘frightfully fun’ events. October brings lovely temperatures compared to the sweltering summer heat, paving the way for an enjoyable tour of this Kentucky city on the Ohio River. Be sure to take a tour of one of its well-known bourbon distilleries so you can taste and compare some high-quality Kentucky-made spirits. Bring the family to Kentucky Kingdom where you will have just as much fun as the kids on tons of thrilling roller-coasters, an expansive waterpark and a 5D cinema, or sip relaxing cold one in the park’s Craft Beer Garden. Finally, be sure to check out the historic Big Four Bridge from the nineteenth century. The former railroad to Jeffersonville, Indiana is now scenic pedestrian walk. 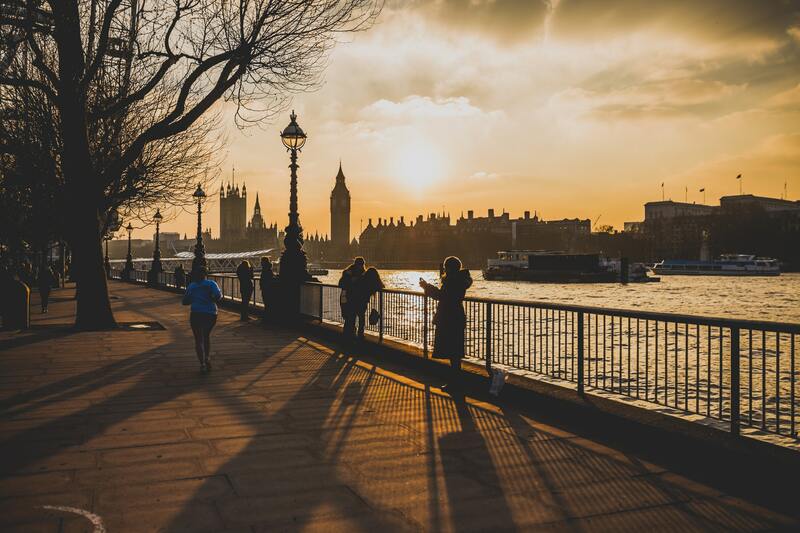 London is an exciting choice for your October adventures! Home to many vast green parks with cafes, lakes, mazes and museums. Immerse yourself in the colours of this magnificent season while taking a long walk in Regent’s Park in the city center. Sip afternoon tea like royalty while exploring Buckingham Palace or get out of the city to explore some of the many day trips from London like the historic university of Oxford or the birthplace of William Shakespeare in Stratford-Upon-Avon. Be sure to make the trip to the mysterious Stonehenge as well! Finally, leave the muggle realm for a while and be teleported into the the world of Harry Potter by taking a tour of the movie studio and magical filming locations. The Windy City is a classic goodtime destination with some of the country’s best gastronomic experiences, fantastic live entertainment, quality pubs and boisterous sports fans. Take a ride up to the ninety-fourth floor of the John Hancock Building on Michigan Avenue to reach Chicago 360. Here you can admire spectacular views of the city skyline and lakeshore. Taste some delicious Chicago brews at the sixth Annual HopDown Beer Fest on 5 October or participate in some of the many family-friendly Halloween-themed events located within and around the city. Take you pick from farm pumpkin patches, corn mazes, spooky masquerades, terrifying haunted houses and more. If you’re travelling with that special someone, enjoy a romantic dinner cruise on the lake.